✿ Further Reductions on Sale Items ! 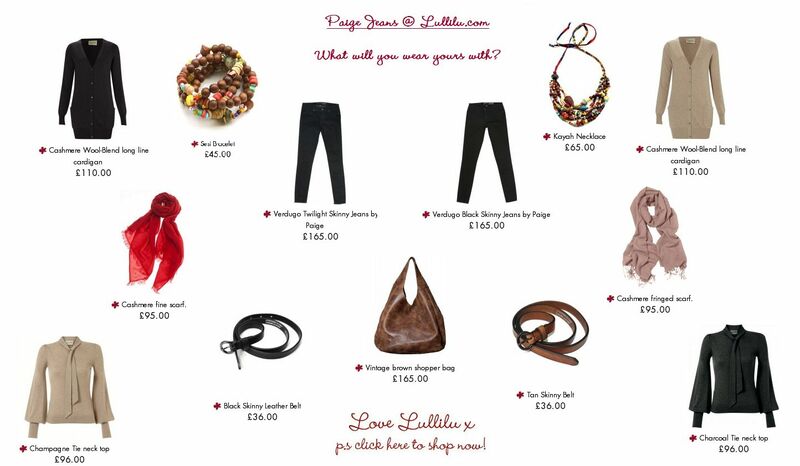 ✿ Introducing Paige Skinny Jeans @ LuLLiLu ! At LuLLiLu cotton means the luxury of going back to the natural yarns. Cotton is a big part of our collection for any season and is great for layering. Here are just a few cotton styles, which most are made in a family factory in Kathmandu, Nepal, who strongly believe in fair trade and investing in people and communities. These clothes are made on hand machines – a labour intensive and skilled process. They are normally made by female workers, who use the machines that knit our design into the correct style and measurements. These young women are usually the main income earners within their family. For us, it has been great to build a good relationship with the same women season after season. By using 100% fine spun cotton which is their local material, we are creating a supply chain, that creates work for local people and a rich source of income for their community.